Time is of the essence regardless of what are we talking about. This is something that we all seek and never have enough. We all need more than 24 hours per day to finish everything we have planned, especially when you are an accounting start-up firm. Technology has always proved to be time-saving, if you use it right. Read on for some tips. When you have everything organized properly and take advantage of every minute, you will see how long day can be. Here are some tips on how accounting start-ups can save time using various apps for accounting management, if you’re into that kind of business. Why using technology is important in business? Technology is advancing, and that means we have to as well. If you want to exceed your expectations and fulfill your ambitions, then you will have to adapt to new things when it comes to technology. Not only that you will have to include the Internet and computerize everything, but also learn how to use various apps which sole purpose is to make our lives and work easier. These apps can save us a lot of time. For example, managing critical files can take a lot of time if you’re doing it manually, but if you use one of the many apps, and then you will be faster and more efficient. Accounting can take a lot of time to manage. Everything needs to be done appropriately and quickly, and as accountants in Darlington use apps to help them do this job quick, it’s advisable to do the same. If you seek success, then you need to keep up with the competition, and you can learn a great deal from them. Do not fear new thing, embrace them and use them to your advantage. Focus Booster – The best way for you to manage your time is to discard all distractions and focus on the task given. This app helps you with that and track the time you’ve been working on a certain project. Eliminating distractions will help you save a lot of time because the more you’re focused, the more efficient you’re going to be and that automatically means more time. 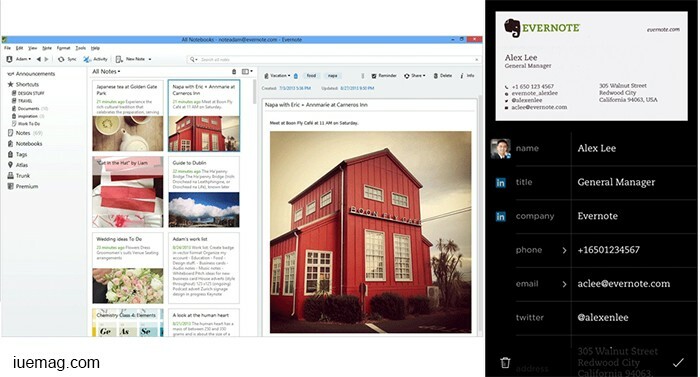 Evernote – Keeping notes has never been easier and with this app especially. 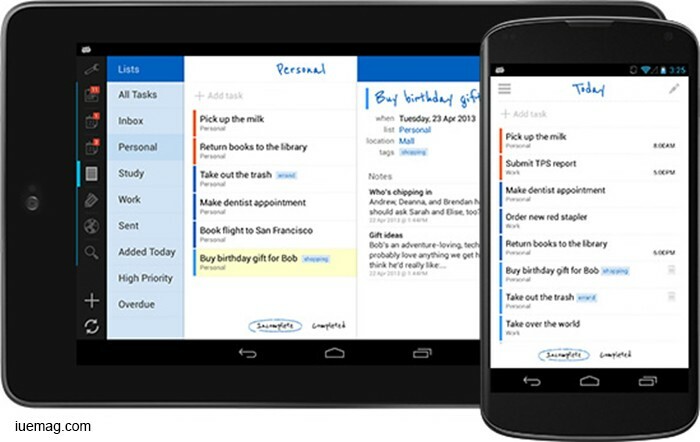 You can write down everything you need to remember and even put a reminder time. It is beautifully constructed which allows you to use this app on various platforms. You will also have a “quick search” bar on which you can type in a keyword and quickly find a note you need. Also, you can share these notes with someone that needs to know about them as well and maybe even remind you of something else. They will be able to edit your notes and add a thing or two if they need to. 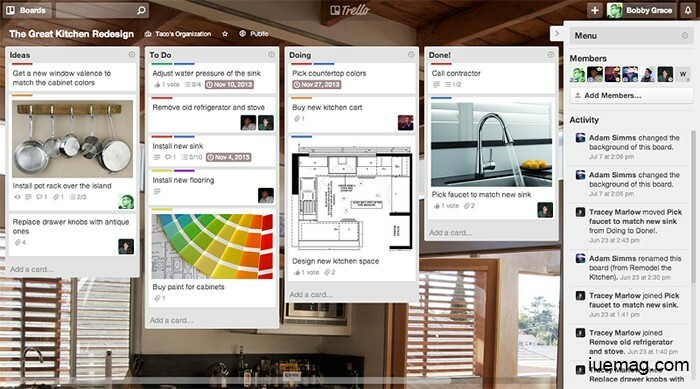 Trello – One of the greatest apps for managing and cooperating with your co-workers. The concept of this app is a dashboard on which you can pin things that are important share files, pictures, documents and so on. Anyone can open what you post and even make changes to the materials. 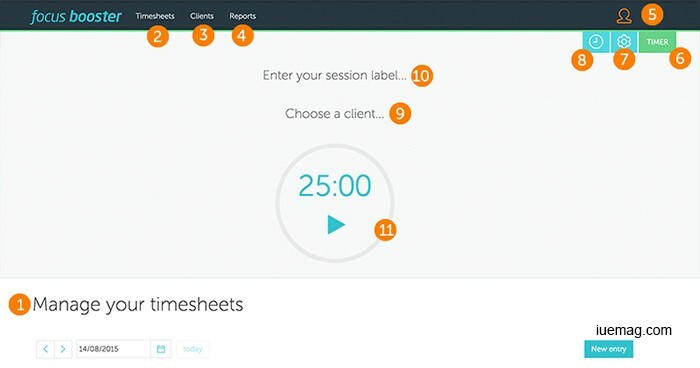 This app will save you a lot of time because you can quickly manage document sharing and connect with colleagues within minutes. Everyone will be also able to discuss the project at hand and share their opinions. 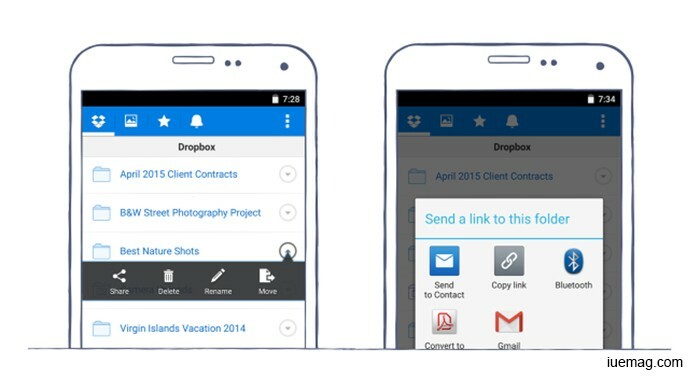 DropBox – The best app for file sharing and file keeping is the Dropbox. This is a pretty similar app as OneDrive. You will be provided with a virtual hard drive on which you can upload documents, images, videos, mp3 files and so on. You can store all your essential files there and access them from any computer or another device. Create an account which is free and start storing your data. Of course, you can choose the files which you want to share with other people and choose whether you will enable them to edit it or not. 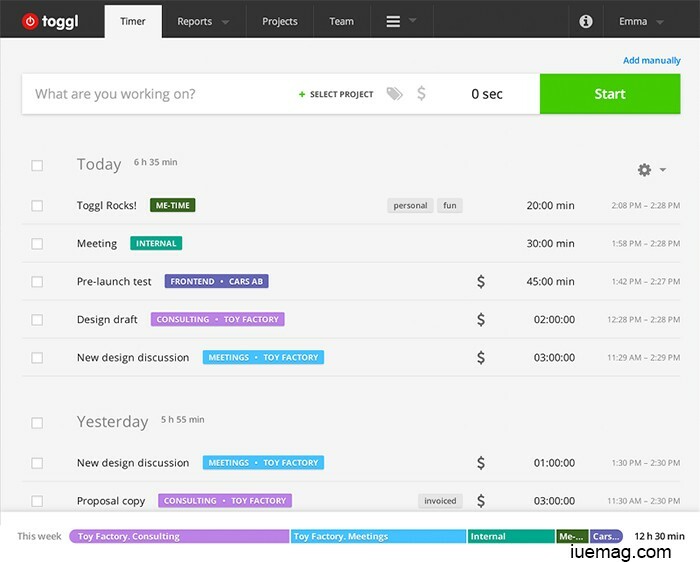 Toggl – Tracking your time is the best way for you to maximize your productivity. This app can do just that. You can name the time-tracking and start noting how much time a particular activity has required. It will help you to completely improve you’re working habit and the ability to maintain focus. Remember The Milk – Since the organization is of the essence, then one needs this app. All of us have one or more platforms such as smartphones and tablets; you can use Remember the Milk application and sync through all the devices. This app reminds you of the things you need to do, and the best thing about it is that you can share your duties with other people. They can also put in something you might forget just in case. There is also the option of grouping, which means you can divide your obligations. These are very useful tools which you should consider using if you’re into accounting industry. The best solution is to use most of them at the same time because, that way you will eliminate wasting of time and fully optimize you working abilities to enhance your productivity. Joel Corde is a contributing writer at Inspiration Unlimited eMagazine.